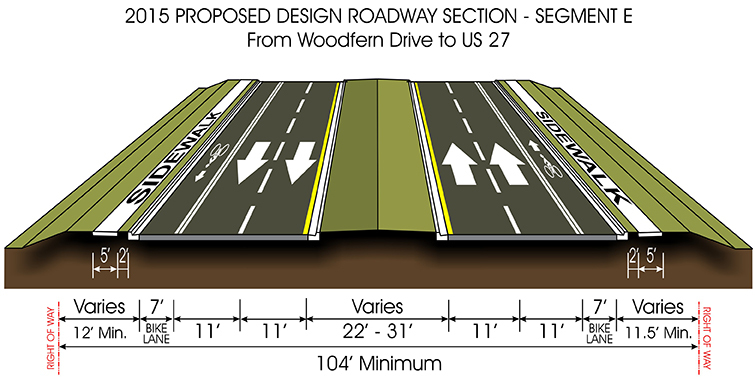 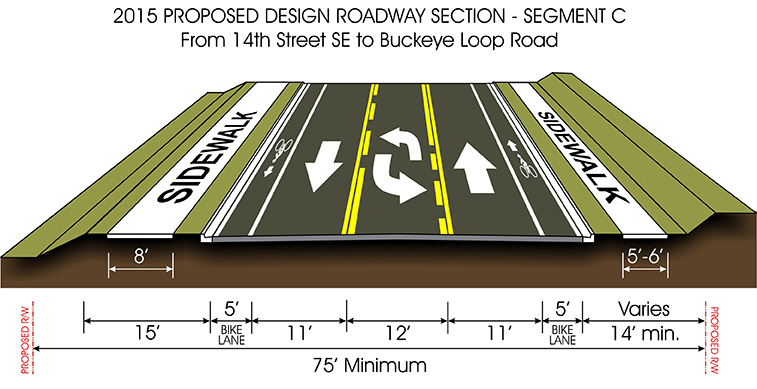 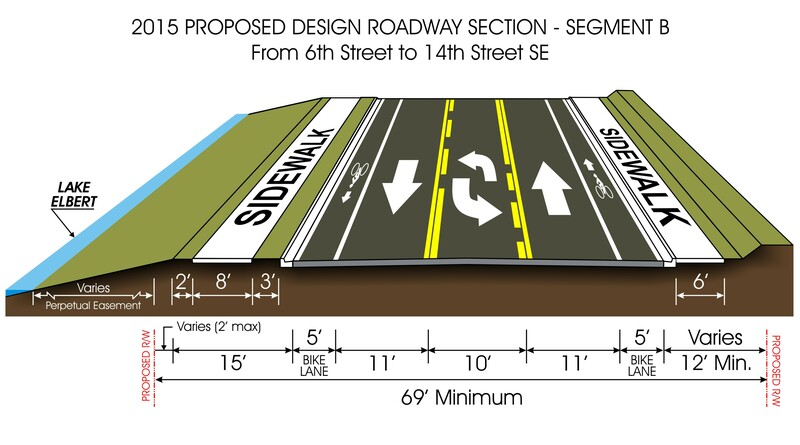 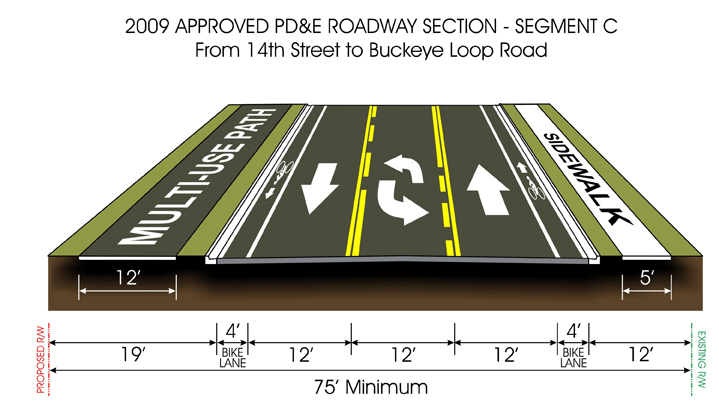 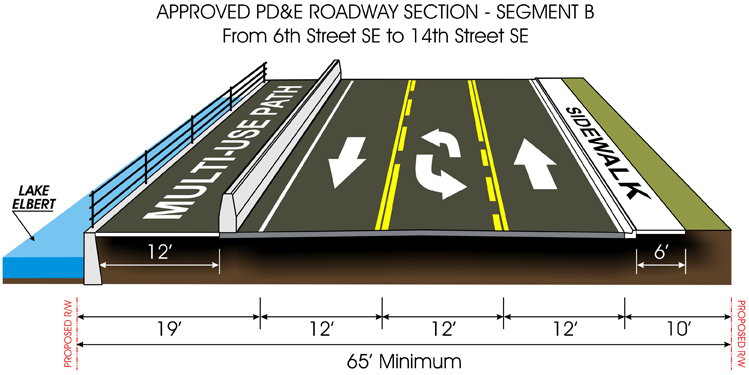 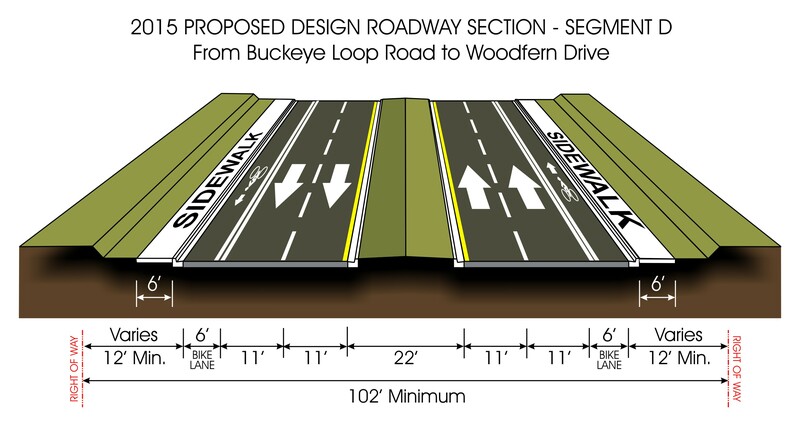 The following illustrations show the PD&E-approved roadway sections and the current proposed design sections, which show how SR 542 will look following the improvements. 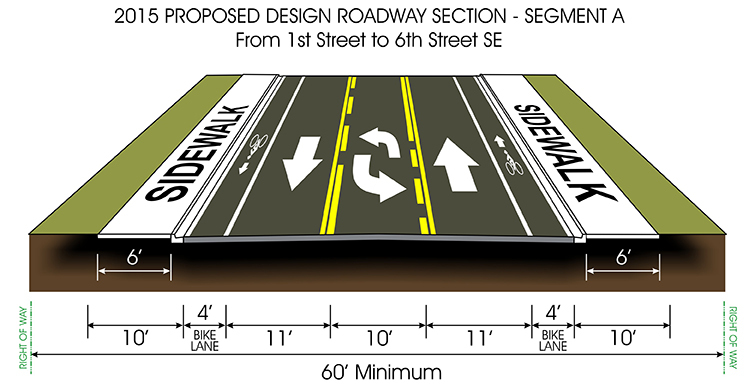 From 1st Street to 6th Street – Widen Central Avenue to three lanes with a center left-turn lane. 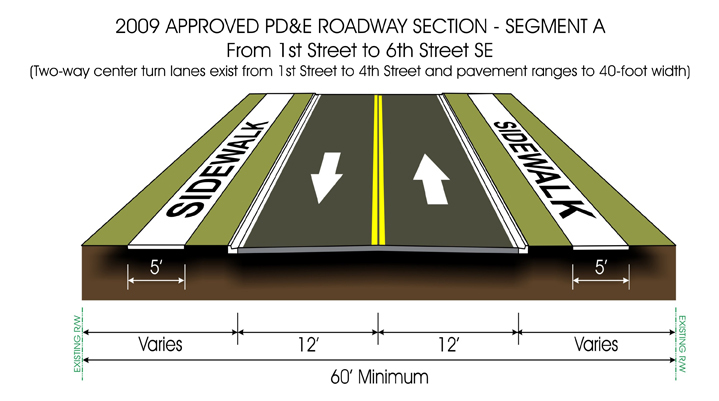 From 6th Street to 14th Street SE – Reconstruct Central Avenue/Lake Elbert Drive to three lanes with a center left-turn lane. 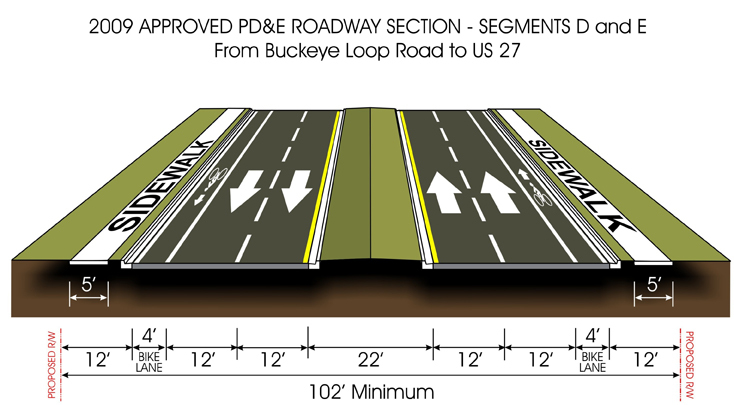 Segment F - from US 27 to 1,900 feet east of US 27 in Dundee – SR 542 transitions from a four-lane highway to the two-lane roadway in Dundee.